An attractive market and business confidence call for an abundance of new construction and expansions throughout South Jersey in 2018. 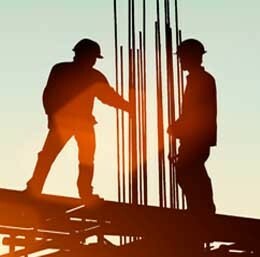 So far in 2018, South Jersey’s building and construction climate is growing steadily and with more demand for mixed-use facilities, the need for security and the demand in the education and health care sectors, it’s only slated to flourish more. In fact, Republic Bank says that 70 percent of tri-state area small business customers surveyed have said they are optimistic or very optimistic about the South Jersey economy. “Businesses are choosing to invest and build in South Jersey because they have a great deal of confidence in the economic growth potential of the region over the next year,” says Rob Worley, senior vice president and New Jersey market manager for Republic. In Washington Township, a $12 million senior facility for those who require assisted living is slated to open at the end of this year. “These types of facilities are being built—it’s pretty much a growth market right now for these companies,” says R. Thorpe Moeckel, vice president of business development for Wohlsen Construction, the group working on the project. Wohlsen is headquartered in Lancaster, Pa., but does much work in South Jersey. The Gloucester County building will have 58 units with about 112 beds. It also will feature rooms for dining, activities, medical needs and recreation. 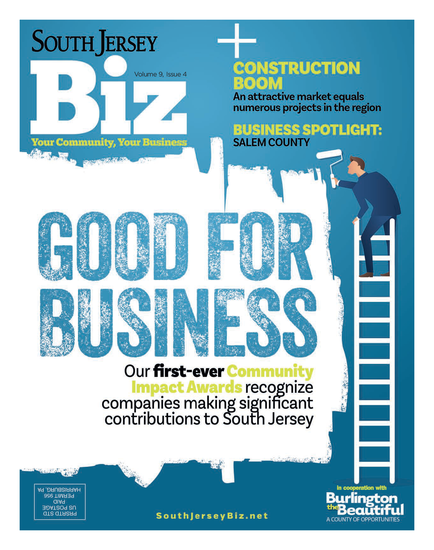 Jonathan Klear, an industrial specialist and vice president of NAI Mertz, says the desire to expand into South Jersey is even higher now for both developers and builders. He says companies are looking to secure land and build warehouses. The architectural firm says an “incredible amount” of ShopRite grocery stores are opening, like the one in Burlington Township at Wishing Well Center. That area is experiencing a real estate resurgence. According to a WCRE report, overall vacancy in Burlington, Camden and Gloucester counties is a full point higher this quarter than in the previous quarter. They say that may be attributed to large blocks of space returning to the market. Davidson says as stores like Kmart, Sears and Toys “R” Us close, and oftentimes, even before they are due to shutter, “landlords and owners are basically having us prepare plans” for their eventual closing. “Owners are looking for mixed use,” he says. “So if you have some offices, some restaurants, some retail, even some residential uses—the more they can spread around, the better the project is.” These types of facilities are continuing to open in South Jersey; Ignarri is working on two right now in Woolwich Township and Egg Harbor. With regard to the residential market, the big story is the continued low inventory, according to NJ Realtors President Christian Schlueter. “It’s pushing sale prices slightly higher, but is a concern we’re keeping our eye on,” he says. Additionally, New Jersey continues to lead the country in foreclosures and short sales. “We continue to hope that Congress will extend the Mortgage Debt Forgiveness Act so that we can move beyond this issue and return to a normal, vibrant market,” Schlueter says. Expansion at Rutgers University-Camden and Stockton universities are in various stages too, namely the $220 million Atlantic City Gateway Project, which includes a South Jersey Gas office. Some parts of that plan are lined up to open by this fall when students return, with more scheduled for a 2019 completion date. Pennsauken and Northern Burlington schools just recently passed referendums for expansion. Romanoli says a new administration in Trenton may help some of these other school proposals that have needed funding for quite some time. In the Haddonfield School District, a referendum to do work at two schools passed in 2016 and work is continuing throughout this year with finishing touches slated for next spring. Classroom wings, the cafeteria and gymnasium are getting reconstructed as well as upgrades and improvements to the track, stadium and roof. But more so lately, there’s been a major emphasis on school safety and security. Protecting children has always been the No. 1 priority, says Dave Fowles, of KDA Architects, but districts are realizing more needs to be done, especially in the wake of the deadly Parkland, Fla., school shooting. KDA is currently working on upgrades to school security systems in Pine Hill and Plumstead Township. In Camden, the city is continuing its advancements in building and construction. American Water headquarters and Subaru are already on the move to the city. Davidson says there’s a lot of interest down by the waterfront. He and Hoyle say it’s seen as an expansion to Center City, Philadelphia; there’s easy access and a lot of jobs are coming in from the surrounding suburbs. Camden had a resurgence a number of years ago that had died down a bit, but now, the number of companies looking to build or move there is increasing.